Selecting the appropriate wooden dowels for your use can be a bit difficult due to the availability of different varieties. Having the right kind of dowels is important though, as the characteristics of the wooden dowels vary accordingly with the types. Below are some key aspects to consider when choosing a dowel. Dowels are made from several types of wood and this must be closely considered when purchasing one. The species of woods from which dowels are usually made include Oak, Cherry, Ash, and Birch. Some varieties of hardwood such as Mahogany, Beech, and Poplar are also used to make wooden dowels. Dowels are also produced from several softwood varieties, the most prominent one being Pine. Note that choosing the type of wood used for making the dowel is very important, as that will determine the functionality and strength of the dowel. The color is the other major criteria to look for when choosing wooden dowels. The choice of a particular dowel is entirely dependent on one’s personal preferences. However, choosing an appropriate color for the dowel is important because most of them will remain visible in any woodcraft project construction. For wooden dowels that are solely intended to serve as joints for furniture, the choice of color is irrelevant as it will be concealed from view. For use in any of the other woodworking projects, it is better to use brown shades for the dowels as that will fit in naturally with the color scheme of the rest of the wooden parts. Most Softwoods and hardwoods that are used to make dowels differ in their density. Hardwoods are usually obtained from deciduous trees that fully shed their leaves during the winter season. On the other hand, softwoods are procured from evergreen trees that retain their foliage all year round. The wood density will directly influence the resilient characteristics of the dowels. 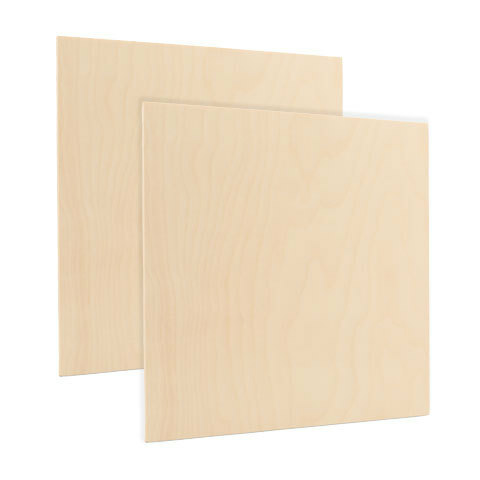 Woods with higher material density can be used to make dowels that are highly durable and resistant to breakage. This makes them suitable for use in a variety of purposes that involves supporting weights such as shelves and chair backs.